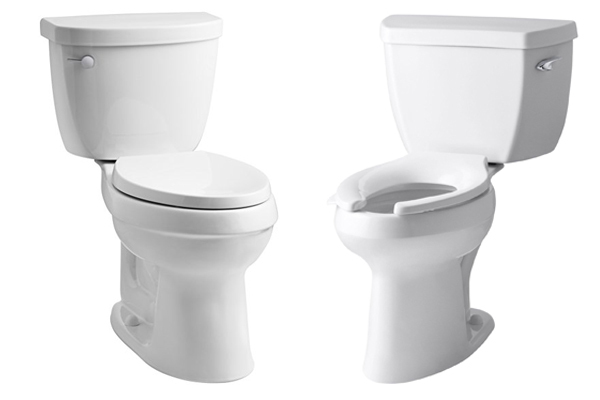 When purchasing a new toilet, it is only natural that you may crave some comfort. There is no reason you shouldn’t get that, and thus you should get the best toilet out there. That’s where Kohler comes in with their incredibly lucrative products. With their top products going head to head, the Kohler Cimarron vs Highline battle is a close one. Cleaning can be a real hassle sometimes and to make things easier, the Highline’s seat just slides off, which enables easy cleaning, which isn’t present in the Cimarron. However, the downside to this is that the Highline doesn’t come with the equipment needed to fix the seat to the toilet bowl. All in all, both toilets are great as they both come in two parts instead of the traditional one piece toilet, making transportation much easier. However, if the faceoff between the Kohler Cimarron vs Highline has to have a winner, then it would be the Kohler Cimarron. Even though they have the same gallon per flush capacity, the Cimarron has the upper hand with it Aquapiston flushing. Its design takes the issue of corrosion due to prolonged use into consideration, and its installation process is very simplified.